Attaining the smile of your dreams can be difficult. Despite some peoples best oral hygiene habits, some of us think that we are doomed to a life full of discolored, unhealthy-looking, teeth. If you have noticed that your teeth seem loose or discolored, then getting a crown from Kassi Klein, DDS may be your best chance to finally look as good as you feel. Dr. Klein of Spring Oaks Dental in Spring, Texas is one of the premier dental crown and bridge dentists in the Spring area. Utilizing the most advanced technology and techniques, Dr. Klein offers patients the smile they deserve, for a price that they can smile at. To schedule an appointment immediately, please visit our website SpringOaksDental.com. Don’t like your teeth, but hate dentures? Compared to dentures, crowns are seen as the more stable answer to loose/discolored teeth. Dental crowns (often described as “near-permanent”) – lasting longer than most other options, are more maintenance-free, and do not need to be removed every night. They also fit your mouth more comfortably and look more natural. With these combination of perks, it’s no surprise that crowns are some of the most in demand dental procedures for patients across Texas! What is a crown oral fixture? A crown is a specially-made covering for a weakened or damaged tooth. They are crafted using an assortment of materials, such as: ceramics, porcelain, and in some cases, steel. The dental “sleeve” covers the distressed region of your teeth, reinforcing them and leaving you with a full, straight, glowing row of pearly-whites. Receiving a crown is a gentle and quick process at Spring Oaks Dental – we can even complete your smile makeover over the course of a few visits! To start, Dr. Klein will first shape your tooth so it is secure enough to receive the appliance. After the “problem tooth” is suitably prepared, a member of our team will take an impression of the tooth, as well as the ones surrounding it. A dental lab will use your impression in order to craft your permanent, custom, crown. When the final product is ready, Dr. Klein will secure the appliance to the original tooth using a special dental adhesive. Your journey for the perfect smile begins today! Our skilled team of dental professionals will help you to schedule a no-pressure consultation with Dr. Kassi Klein. During a relaxed conversation, Dr. Klein will design the smile of your dreams, and help you bring it to life! What are you waiting for? Is there anything more welcoming or warm than a perfect smile? A pristine set of glistening-white teeth can speak volumes about your health, and makes for an unforgettable first impression. Yet, if you are unsatisfied with the health of your mouth, it can be a never-ending source of embarrassment. An unappealing smile or uncomfortable bite can make you seem tired and unapproachable. Misaligned or yellow teeth can even sometimes make it seem as though you don’t care about your appearance. And if you’re missing teeth, you are even risking your own health and comfort. Neglecting your oral dental hygiene can disturb every part of your life and even injure your self-esteem. If you have an issue with your oral health, we are here to guide you to a healthy, glowing grin and improved state of mind. Spring Oaks Dental is a leading provider of all of your general and cosmetic dental essentials. Servicing the entire Spring, TX region, Dr. Klein and her team are committed to the health of your smile and the comfort of your procedure. By using dental veneers made with medical-grade porcelain, Dr. Kassi Klein DDS of Spring Oaks Dental can help you to revive your smile, recover your health, and change your life. You can be on your way to achieving the smile of your dreams, by contacting a friendly team member of Spring Oaks Dental at (832) 510-3834 and making an appointment for a relaxed consult with Dr. Klein. During a pressure-free consultation, she will assist you in planning your treatment plan, and make suggestions based off of your distinctive requirements. We make sure that you are satisfied with the plan before crafting the kind of beaming grin that could make the paparazzi stop and take notice. Porcelain veneers can virtually rejuvenate any smile. It doesn’t matter if your teeth are loose, discolored, or even missing – Dr. Klein will identify the best treatment plan for you and design a strategy that will fit your budget. Then, using innovative medical tactics and technology, we will provide you with a standard of gentle care that is unequaled in the Spring, TX area. It is vital that you contact SpringOaksDental.com as soon as possible in order to ensure that your health is under the mindful-eye of a practiced dentist, like Dr. Klein. You’ve earned the kind of smile that can take the spotlight in a crowded room. At Spring Oaks Dental, we are committed to providing that for you. Witness the kind of tender care that everyone should experience, in a calm atmosphere that everyone will enjoy. Schedule an appointment with Dr. Kassi Klein DDS today by going to SpringOaksDental.com. 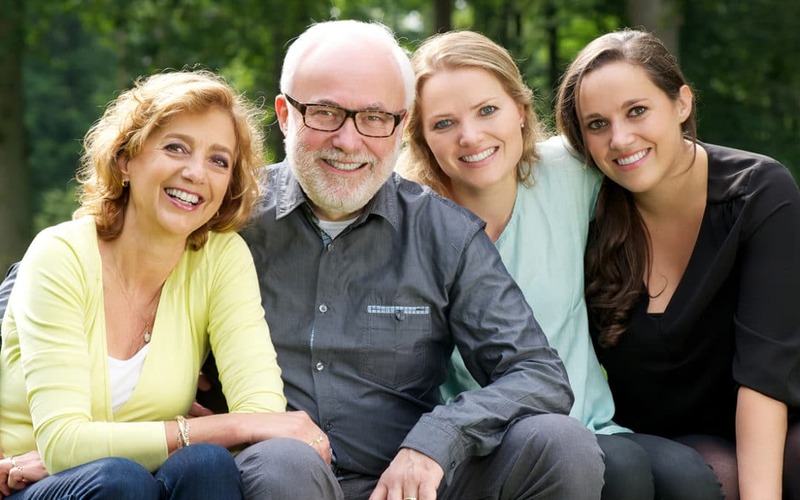 As a leading cosmetic dental practice of the Spring, Texas area, Spring Oaks Dental is committed to help you to achieve the smile of your dreams. Through our caring – nonintrusive – oral health treatments, you will see a brighter smile, and a better you. As a pioneer in modern dentistry, Dr. Kassi Klein DDS has earned a reputation as a provider of the gentlest, and quickest, dental treatments available. With scientifically advanced oral health resources, like our Biolase EPIC laser teeth whitening system, a makeover of your smile can be completed in as a little as one appointment! In fact, with modern solutions like the EPIC system, many treatments only take 20 minutes! Not only are these systems quicker, but they are also more effective. For example, an industry leading in-office teeth whitening procedure will boast its ability to whiten your teeth by up to 8 shades. EPIC laser teeth whitening, on the other hand, offers up to 12 shades of additional glow. Laser teeth whitening programs are also reportedly much more kind on sensitive teeth. So, if you have sensitive teeth and have been too worried about the pain from conventional teeth whitening programs, an EPIC procedure might be perfect for you. How do I get EPIC laser teeth whitening? You can receive treatments at your cosmetic dentist office. While most people can benefit from a whiter smile, you should consult with your doctor in order to verify your candidacy. How soon until my teeth are whiter? Unlike many at-home tooth whitening kits, you will begin to see a noticeably whiter smile immediately. With a standard 20-minute whitening treatment, you can boost the shine of your teeth by as many as 12 shades! What’s involved in an EPIC laser teeth whitening treatment? First, your doctor will apply a tiny amount of gel to the fronts of your teeth. This gel is tasteless and acts as a catalyst for your whitening procedure. The doctor will then apply the (painless) light from the EPIC laser system to your teeth. Minutes later, you will have the glowing, healthy, smile of your dreams and be free to move about your day. Doctor Kassi Klein DDS is the Spring area’s top authority on cosmetic dentistry and general oral health. With Dr. Klein and the Spring Oaks Dental team, you can rest easy knowing that you are in the best hands to rejuvenate your smile and improve the health of your entire mouth. Schedule a no-pressure consultation by calling us at (832) 510-3834 or by visiting SpringOaksDental.com. You, like everyone else, likely want your teeth to be bright and white. That’s basically the definition of a perfect set of teeth. But, while most would want to see their teeth bright and shiny, the truth is that everyone’s teeth are not the same. While some people are born with white teeth, some have yellowish, gray, or even brown teeth. That’s perfectly natural. However, discolored teeth aren’t exactly the picture of a healthy and beautiful smile. Most people often associate them with poor oral health and smoking. So, you really can’t blame people for wanting whiter teeth. In fact, you may be one of those people, and like many, you’re probably interested in using teeth whitening toothpaste to make your teeth whiter. Conventional toothpastes alone are enough to remove surface stains. However, whitening toothpastes do an even better job of removing surface stains because they contain abrasive ingredients. Silica, for example, is a common ingredient in whitening toothpastes that work by scrubbing the surface of the teeth. While they do a much better job of scrubbing away surface stains, whitening toothpaste don’t exactly work overnight. Instead, it can take weeks, if not months, before you see any results. And, even then, your teeth won’t exactly be as white as you imagined them to be. You see, whitening toothpastes don’t really change the actual color of your teeth. Your teeth will still be what they are, just with fewer surface stains. This is bad news if you drink coffee and other notable stain-causing food and beverages frequently. Because whitening toothpastes work by removing surface stains only, you probably won’t see as much of an effect on your teeth. Or at least, not what you expected. If you’re not really satisfied with the effect of the whitening toothpaste on your teeth, be sure to pay your dentist a visit. They can likely help you with your problem, either by prescribing an at-home professional whitening product, or by recommending an in-office procedure. Whitening pens and other at-home whitening products work by bleaching your teeth. They’re generally not as effective as in-office procedures, but they’re cheaper and can actually you’re your teeth whiter with continued use. For better and more dramatic results, however, you’ll want to consider an in-office teeth whitening procedure such as chairside bleaching. Like whitening pens, the procedure also involves the use of bleach. The main difference here, though, is that dentists will use a special curing light. Although expensive, chairside bleaching is often painless and can make teeth many shades brighter in just one session. Everybody reacts differently to whitening toothpastes and other teeth whitening products. Keep in mind, however, that getting a perfect white smile isn’t as important as having healthy gums and teeth. If you really want to use a whitening toothpaste, use it according to its instructions, and don’t forget to brush your teeth twice a day, floss at least once, and visit your dentist regularly for optimal oral health. Are Invisible Braces the Way to Go? During the holiday season, it is important to keep our smile looking bright and healthy. After all, you have a whole social calendar of events to attend during this time of year – there are going to be tons of opportunities to smile for selfies with friends and family. But what if your smile isn’t quite up to par? Having a crooked smile will prevent you from showing off your holiday joy in a photo. So, what do you do? Time to make a dental appointment and let a professional introduce you to invisible braces just in time for your holiday celebrations. Wear your aligners at all times, except when eating, brushing, and flossing. Failure to wear your aligners will prevent your teeth from becoming straight. Avoid gums and caramels at all times. The chewy material will instantly ruin your aligners. Avoid placing your aligners in places that are too warm because this could potentially damage your aligners. Clean your aligners often. Aligners should be gently cleaning with a tooth brush and soap in cool water. Our holiday preparations are well underway, and for many, one of those preparations is constructing a tasty little housing structure. Yes, that’s right – it’s time to build ourselves a gingerbread house, the crown jewel of any holiday cookie feast. There is no particular way to build a cookie home, but they are generally covered in the sweetest confections available. The problem is, if you actually eat it, it can wreak havoc on your teeth. Have you ever thought about a “teeth-friendly” version of this cookie castle? Sound impossible? Take a look at these tips to turn your gingerbread house into a holiday home sure to make everyone smile. Instead of choosing gingerbread for the walls and roof, try using graham crackers. There are many variations to choose from, making it a more versatile option for you and your family’s taste. When gluing your pieces together, mix 2 egg whites with 2 ½ cups of icing sugar and apply generously with an icing bag. Here’s where the tough part begins – the décor. We all love to see the sugary gumdrops and colorful hard candies covering every wall. It adds your personal touch. But rather than using just cavity-causing candies, why not take a healthier approach. Try almond flakes for rooftop shingles, dried fruits and nuts for the little details and banana chips or pretzels for landscape work. The holidays are a time to indulge in the sweetness the season brings, but adding some simple healthy tweaks can make your next dental visit a little sweeter.